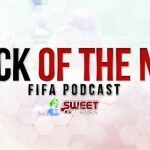 Welcome to Episode 81 of the Back of the Net: FIFA Podcast in partnership with Sweatpatch.TV. This is the fun, chatting and never ending BotN. This week they are talking Real Life Football and not forgetting some FIFA 13 talk and more.